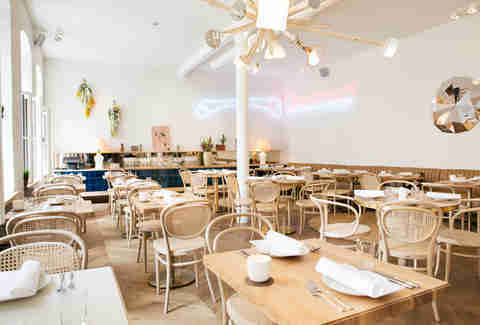 Berlin's restaurant scene is in a state of perpetual boom these days, with new restaurants opening by the dozen. But just because a place is new, doesn't mean it's the best in town. 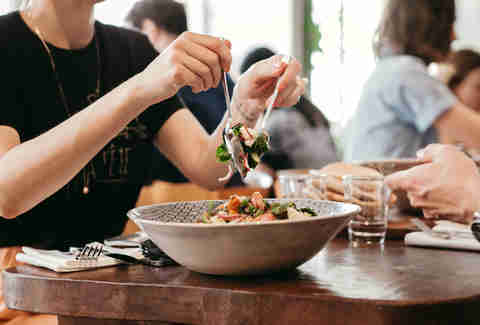 That's why we have Eat Seeker: a list of our current favorite restaurants. Whether they've just cut the ribbon, are a classic standby, or just have a stand-out dish, these spots will answer your question of "Where should I eat tonight?" This buzzy Peruvian eatery is still packed on the reg, serving up delicious ceviche and seriously boozy pisco sours. Besides a bunch of new piscos imported from Peru (they’ve now got 26 total), expect a few juicy new menu items (hint: pork belly) to hit tables soon. Berlin was desperate for a modern, hip Turkish restaurant, and thank kebab, Fes' has filled the void. 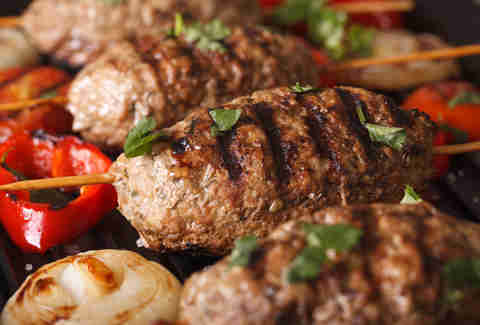 It's especially great for dates, if your date loves table-top BBQ, raki, and piles of meat. Which they definitely should. Brammibal’s is the latest food truck to get its own brick-and-mortar shop, right on Maybachufer near the Turkish Market. 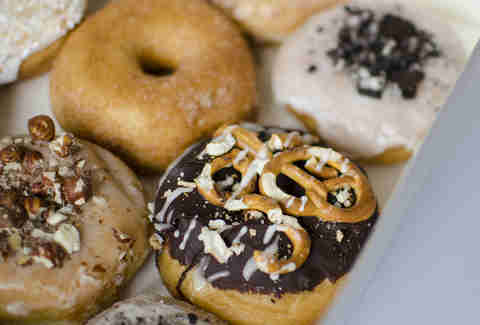 Here you’ll find what are being constantly touted as the best donuts in town, and they’re also vegan and gluten-free! Coming in quirky, artisan flavors like salted caramel, matcha strawberry, and pistachio, just try to resist the urge to go Instagram-crazy on a stack of these bad boys. The Store Kitchen’s brunch ticks all the right boxes, being healthy and downright indulgent (kale and poached eggs on your waffles -- yes it’s a thing). It’s one of the best cafés in the city for slaying laptop work with plenty of comfy seats, a juice bar and upstairs, the members-only Soho House (so make friends with a member). You might just end up coming for breakfast and staying for dinner. Spice Spice Baby is finally back at Bite Club for another season. 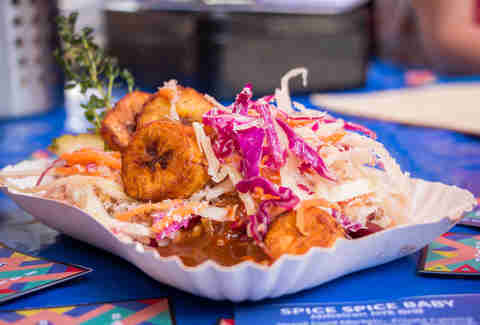 This Jamaican stand was such a big hit at markets and events last year that we’ve named it 2015’s best new street food and among Berlin’s best BBQ. Follow the Facebook for updates and get in line early to indulge in slow-cooked jerk chicken with coconut rice – these heaping plates are prone to selling out. 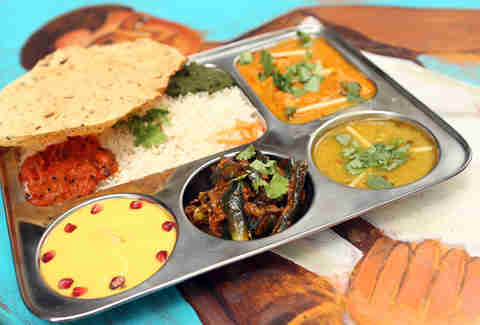 Chutnify’s still the only spot in Berlin for authentic south Indian food, and now a long-awaited second location in Neukölln is finally open. It’s right in the midst of the local living room bar scene, which is appropriate, with excellent hangover dishes like biryani rice, traditional dosas and their hair-of-the-dog craft cocktails like Truck Driver’s Delight (coconut water and vodka). Tommi’s is probably Berlin’s best burger. 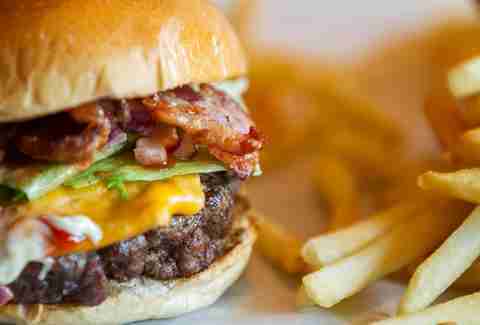 Simple fixings, a juicy Angus beef patty and a pillowy bun that’s definitely no afterthought, in this capital’s sea of burger joints this is a very big standout. Tommi’s also just got a food truck, so you can now grab ’em at the outdoor culture space Urban Spree too. Check Facebook for dates. Berlin’s pop-up scene was getting a touch redundant, but this new restaurant is swooping in and to raise a little organic, homemade hell. 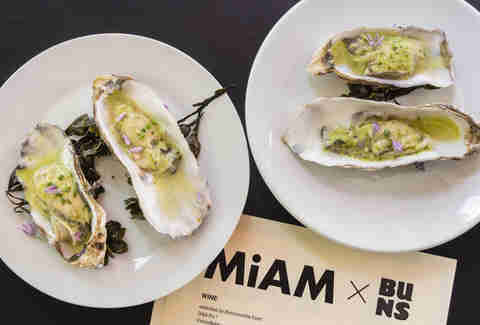 Now you don’t have to wait for Street Food Thursdays or Bite Club to indulge in the city’s diversity of street food concepts, because MiAM is hosting food trucks and handing over its kitchen to different chefs every week. Look out for longstanding favorites like Taco Kween (Mexican, obviously) and Levantine (Mediterranean yums) in July. They’ve also got one of the best sunny patios in Kreuzberg right on Spreewaldplatz. 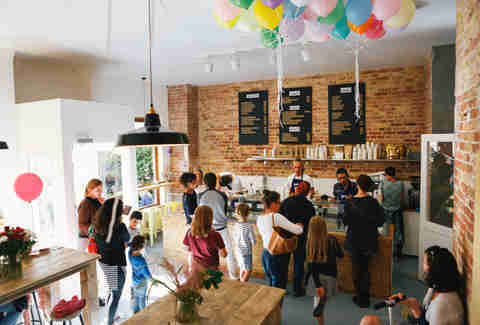 Jones Ice Cream has graduated from a food truck into its very own shop in Schöneberg, and Berliners are freaking out. Go there now and try the signature creation, whiskey-pecan-cornflake ice cream on a maple bacon-peanut butter cookie. Your sweet tooth may never be the same. Kanaan, the phenomenal Israeli-Palestinian “peace project” restaurant in P’Berg, is still going strong in its new Kreuzberg location at Südstern station. Go for a big plate of hearty hummus and traditional shakshuka (eggs poached in spicy tomato sauce) in a chilled-out beer garden atmosphere. 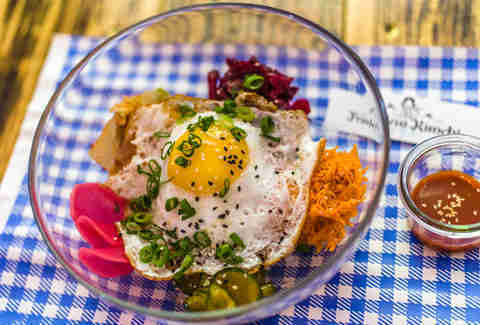 The Fräulein is going strong, with its delicious fusion of Korean-German-American cuisine. 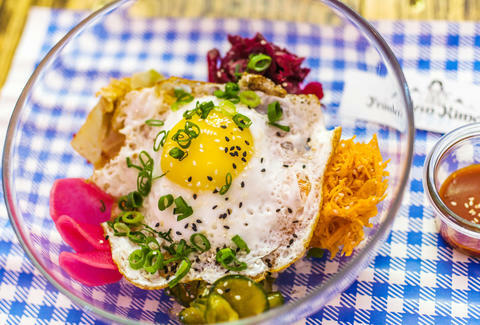 Trust us, you definitely need the ramen burger or kimchi käsespätzle. And FYI, they also do catering (kimchi poutine at your next house party? Hell yeah.). 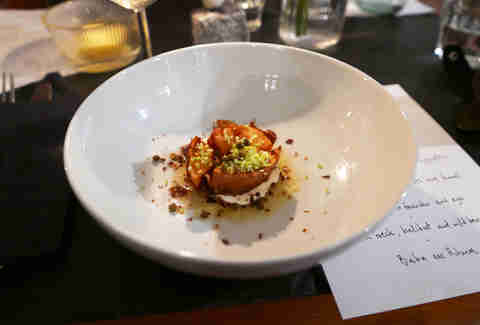 Dutch chefs Lode and Stijn made quite a name doing popular pop-up dinners around Berlin last year, and their new restaurant certainly doesn’t disappoint. Go now to find some new menu items since April’s opening, including a decadent beef tartare, fresh goat cheese mousse, and grilled asparagus in buttermilk sauce. Bar menu with those signature Dutch bitterballen’s still around too. Oh, and you’re going to want to book ahead. 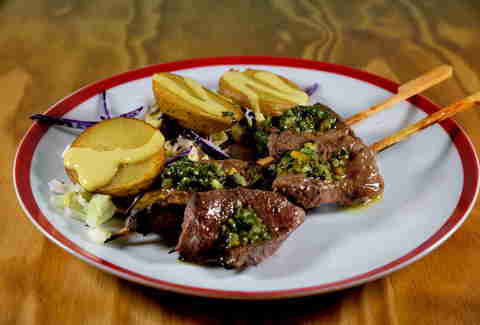 Panama is the new restaurant from the owner of Katz Orange – a local pioneer in slow food – so that’s just lots of hype already. But it really delivers, following the same philosophy of organic and regional product, except this time with a German and Latino twist, from smoked trout tartare to gourmet empanadas. It’s also undoubtedly one of the most beautifully-designed restaurants in town, with a tropical interior full of wicker and lots of lush foliage.